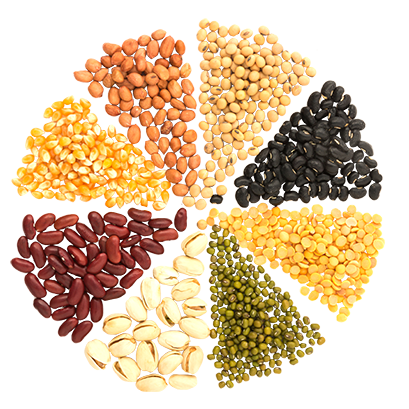 We are engaged in offering an unmatched range of Pulses/Dal. Rich source of protein and other vitamins, our pulses are used for preparing various delicious foods in hotels, restaurants, homes and canteens. To meet the quality needs of our clients, we source these pulses from some of the authentic vendors of the market. Our wide range of Pulses & Dal includes, Nestle Cerelac Wheat Orange, Nestle Cerelac Wheat And Dal, Moong ( Green Beans ), Moong Dal Split (Chilka), Moong Dal Whole, Mooth Dal Whole, Mooth Dal Mogar, Urad Whole Dal, Urad Dal, Urad Dal Split ( Chilka), Chana Dal, Chana Dal Whole, Chola Dal ( Cow Peas ), Rajma (Kidney Beans ) Jammu, Rajma (Kidney Beans ) Red, Rajma (Kidney Beans ) Chitra, Kabuli Chana ( Chickpeas ), Masoor Dal, Masoor Whole, Chana Dal Split, Chana Whole, Bengal Gram, Red Chana, Cow Pea Split, Chola Whole Red, Cow Pea Whole, Lal Chola, Chola Whole White, White Chola, Kabuli Chana, Chick Peas, Masoor Dal, Red Lentils, Moong Dal Yellow, Moong Dal With Chilka, Green Moong Whole, Mooth, Matki, Turkish Gram, Rajma Chitra, Kidney Beans, Rajma Jammu Small, Red Kidney Beans, Rajma Red Big, Tur Dal, Pigeon Peas, Urad Dal, Black Lentils, Urad Whole, Roasted Gram With Skin, Chana With Skin, Roasted Gram Without Skin, Chana Without Skin, Mahabaleshwar Chana With Skin, Mahabaleshwar Chana Without Skin, Peanuts, Roasted Peanuts.